Agriculture got prime time attention in the Union Budget 2018 presented by Finance Minister Arun Jaitley today. The Union Budget 2018 was also the last full-year budget before the general elections in 2019 and eight state assembly elections this year. Delivering his opening statement, Mr Jaitley switched from English to Hindi as he outlined schemes to promote agriculture, organic farming, animal husbandry and fisheries, ensuring that he was understood by people living in rural areas. 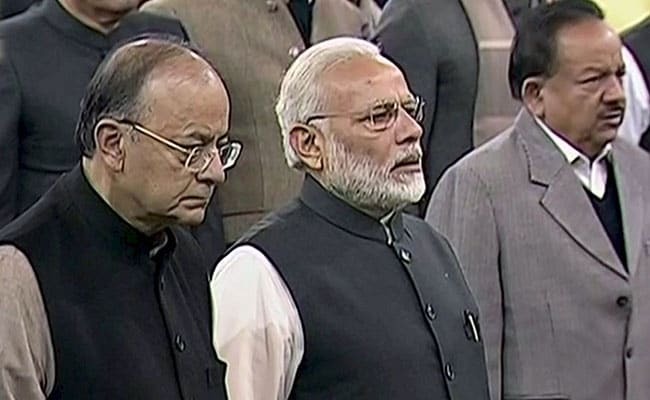 "Prime Minister Narendra Modi has given a clarion call to double farmers' income by 2022, the 75th year of India's independence," Mr Jaitley said in parliament. The minimum support price of all crops will be increased to at least 1.5 times of production cost. He has also announced a healthcare scheme to cover 10 crore poor families, saying "50 crore beneficiaries will get Rs 5 lakh per family per year." The scheme is the world's largest government-funded healthcare programme, Mr Jaitley said. 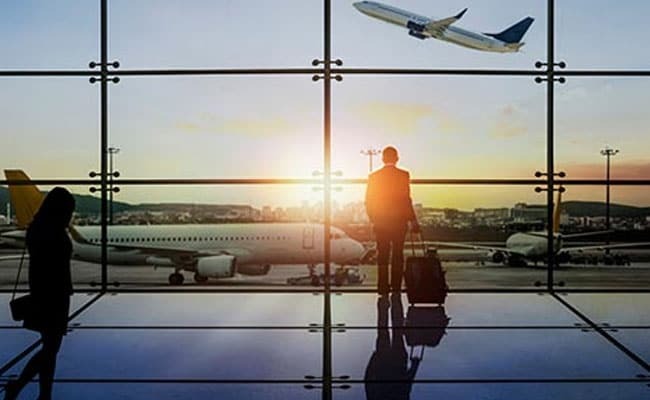 An amount of Rs 2,150 crore was today allocated to the Ministry of Tourism under the Union Budget 2018-19, receiving a 21 per cent jump from the current fiscal. The ministry was granted Rs 1,776.4 crore for the current fiscal. Infrastructure projects were granted Rs 1,330 crore in this budget, a 16 per cent jump from Rs 1,145 crore set aside last year. Within these projects, integrated development of tourist circuits has been allocated Rs 1,100 crore, up from Rs 950 crore in the current fiscal. The Pilgrimage Rejuvenation and Spiritual Augmentation (PRASAD) scheme was given Rs 150 crore as compared to Rs 100 crore in the last budget announcement. There has been no change in the Budget allocation of Rs 4.29 crore for the anti-corruption body Lokpal, whereas an increase of about Rs 1.5 crore in outlay for the Central Vigilance Commission has been proposed for the next fiscal. India outlined a farmer-friendly budget on Thursday, but for its burgeoning middle class, who aspire to own luxury goods ranging from Ray-Bans to iPhones, and Zippos to Fitbits - imported goods are set to get a whole lot costlier. HDFC Bank has flagged concerns on an "overrun" on the expenditure side and added the quantum of allocations for rural development also "seem very low". "Deterioration in quality of spending remains a concern. Deviation from the fiscal glide path is a risk and could trigger bond yields/interest rates spiral," its chief economist Abheek Barua said. 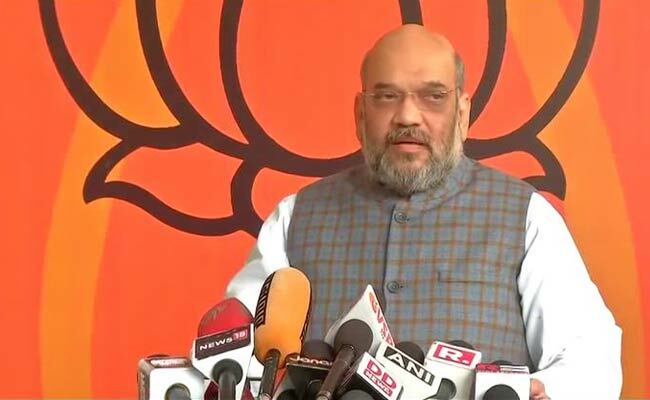 BJP chief Amit Shah today said the Union Budget would ensure that development touched all sections of society and help the government realise its dream of a "New India" by 2022. "One big takeaway I see is the government's promise of actually buying the produce at MSP. 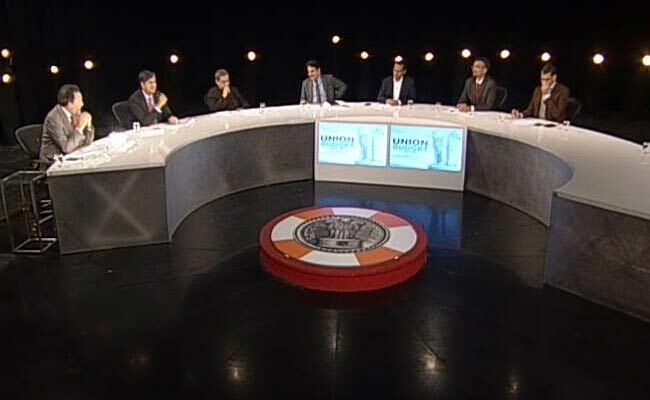 Earlier MSPs were declared but the produce wasn't really bought," says Ajay Vir Jakhar, Chairman of Bharat Krishak Samaj in NDTV's post-budget analysis. "I first was delighted to hear about the agriculture sector focus but over the course of the day, I've grown more concerned," says Naina Lal Kidwai, HSBC's former India chief. "You promise 10 crore families, 50 crore people insurance coverage but there is a not a whisper of detail in the budget document. 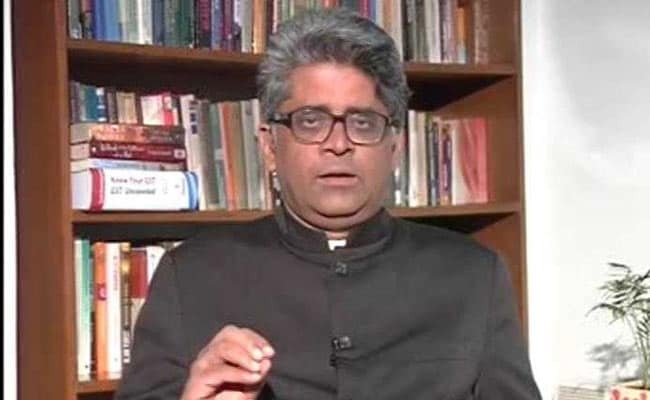 What kind of a fraud are you doing," says Congress leader Manish Tewari in NDTV's post-budget analysis. "We are thrilled. We wanted the implementation of the Swaminathan formula for years. It's an election year, I don't think they can let down the farmers. So I hope there is no bluff there," Rajya Sabha MP and Shiromani Akali Dal Leader Naresh Gujral tells NDTV. "We could have got a populist budget but we got a popular budget. There is something for everyone. But it will depend a lot on implementation," says Shobhna Kaminieni, President, CII. "The healthcare scheme may take time but you have to put your foot in the door. 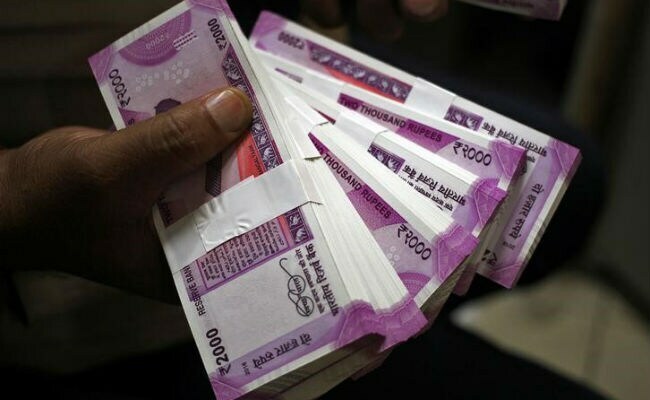 Rs 2,000 crore is undoubtedly a small amount for what is being proposed but the details are yet to be worked out," says Arvind Panagariya, Former Vice-Chairman of Niti Aayog and Professor at Columbia University in NDTV's post-budget analysis. "I find the budget quite a game-changer because it brings the social sector centre-stage. The healthcare scheme has been really thought through. 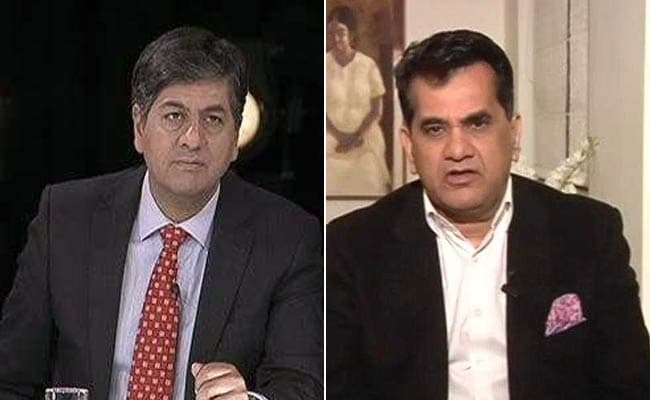 It is a 60:40 cost sharing model, we envisage a 2.75% usage rate, and the premium will be about Rs 1,100 per family," Niti Aayog CEO Amitabh Kant tells NDTV. 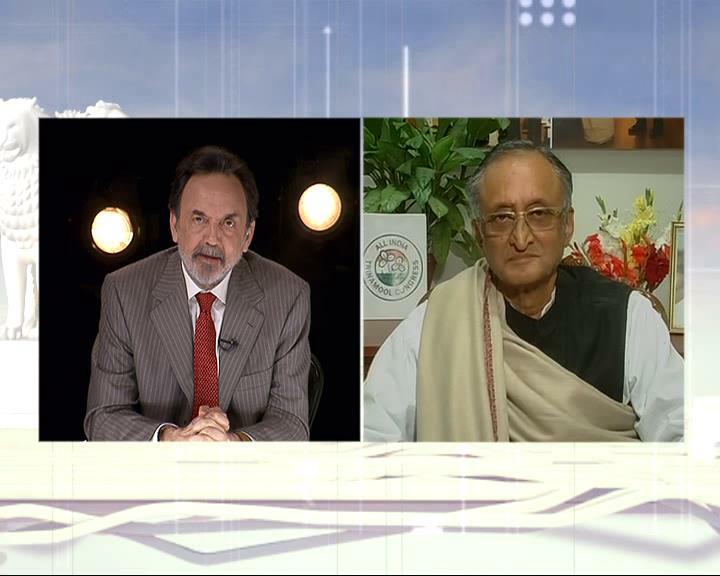 "Agriculture income doubling in 4 years is another hoax, it is another jumla," Amit Mitra tells NDTV in post-budget analysis. "Allocation in national drinking water mission, border area development, minorities development scheme have been reduced," West Bengal's Finance Minister Amit Mitra tells NDTV. "No increase in scheduled caste/tribe schemes, 100-days work guarantee. Education was increased 3.84 per cent, health increased 2.76 per cent, rural development 1.84 per cent," he adds. 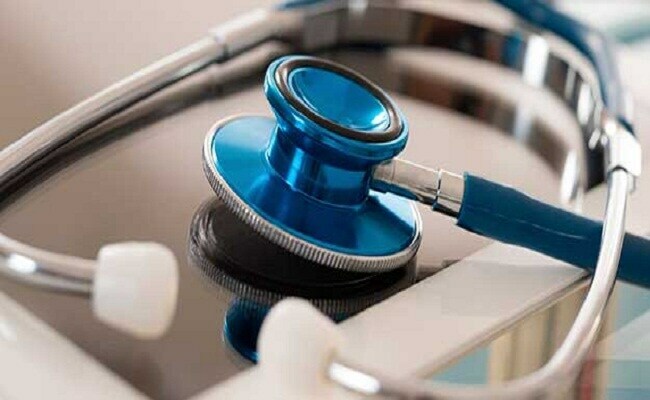 In Budget 2018-19, Finance Minister Arun Jaitley announced a standard deduction of Rs 40,000 in place of exemptions allowed for medical reimbursement (Rs 15,000) and transport allowance (Rs 19,200). "Protectionism and saturation are two global trends. 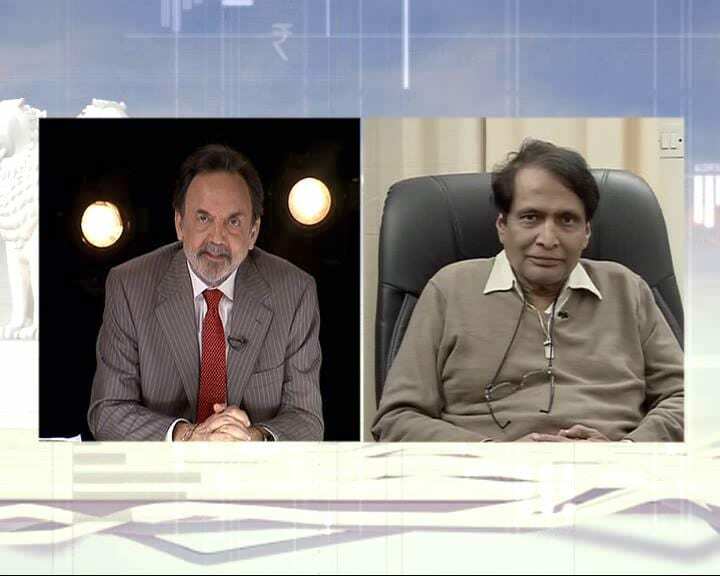 India is poised well to identify new markets expand the economy," Union Commerce Minister Suresh Prabhu tells NDTV. Delhi Police has been allocated Rs 7,426.98 crore in the Budget 2018-19, an increase of 16 per cent from that in the previous budget, with Rs 19.75 crore being set aside for the 'Nirbhaya Fund'. Of the total amount allotted in the budget, Rs 460.95 crore is for police infrastructure, comprising office and residential building projects. The last allotment was Rs 439 crore. This time, Rs 19.75 crore has been granted for the 'Nirbhaya Fund', a decrease from the Rs 28.90 crore allocated in the last budget. In 2016-17, it was Rs 3.40 crore. Finance Minister Arun Jaitley introduced a number of changes that will impact the income tax you pay, ranging from taxing long-term capital gains on investment in stocks and equity mutual funds to change in cess on income tax. With maximum increase in allocation to the Smart Cities Mission, the Housing and Urban Affairs (HUA) ministry's budgetary provisions have been pegged at over Rs 41,765 crore for the next fiscal, a hike of 2.82 per cent over 2017-18, reports PTI. The HUA ministry was formed after merging the 'urban development' and 'housing and urban poverty alleviation' ministries, which had a total outlay of Rs 40,618 crore in Union Budget 2017-18. Smart Cities Mission, under which the ministry has announced 99 cities for central assistance, got the highest hike of 54.22 per cent with Rs 6,169 crore as against Rs 4,000 crore in 2017-18 Budget. 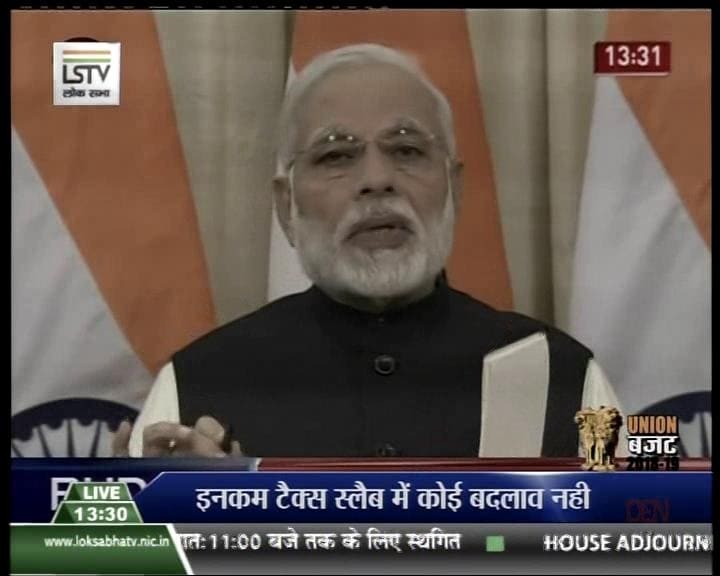 "I am happy to inform that 99 cities have been selected with an outlay of Rs 2.04 lakh crore. These cities have started implementing various projects," Finance Minister Arun Jaitley said while presenting the Union Budget 2018-19. "Without compromising on fiscal prudence, the expenditure that finance minister has suggested, is all going to sectors that needed most attention. Small areas which needed attention, like investment relief to senior citizens, have been addressed. On the whole it is a great budget. 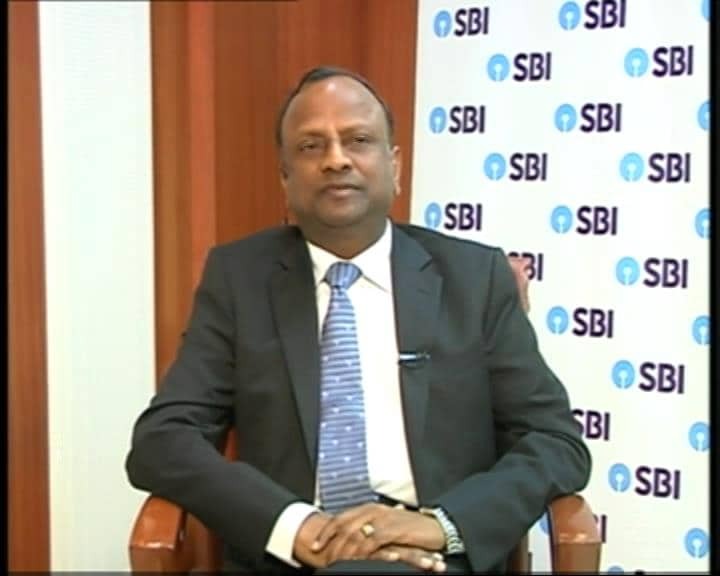 It should stimulate jobs and growth," says Rajnish Kumar, Chairman, SBI. BJP veteran L K Advani today lavished praise on the government for its Union Budget which he said made India and his party proud, and held that no earlier budget had set such high goals for growth in all sectors, reports PTI. The budget combined "ambition and empathy" of almost an unprecedented order, he said in a statement, and added that it made him happy to see his party pursuing "economic growth with a human face". "I cannot recall any budget in the past that set such high goals, targets and commitments for the growth of all sectors of the economy and also for securing people's welfare. I am sure India is headed towards a brighter future," the former deputy prime minister said. The Budget, he said, had made India proud. 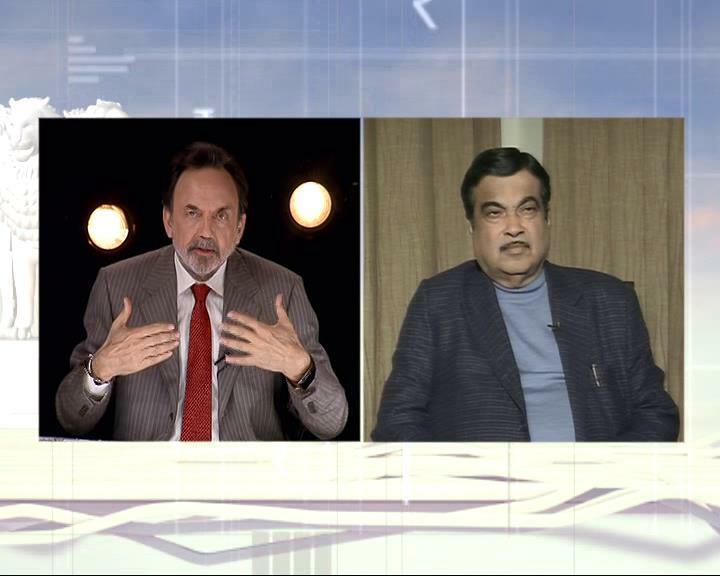 "We have signed contracts worth 8L crores and all of it has been corruption-free," Nitin Gadkari tells NDTV. On a question on advancing next year's general elections, he says "my role is very limited, would not be appropriate for me to comment". Union Road Transport and Highways Minister Nitin Gadkari Speaks To NDTV on Budget 2018, says "when I took charge road construction was at 2km/day, now it is 28km/day and hope next year it will be 40km/day". 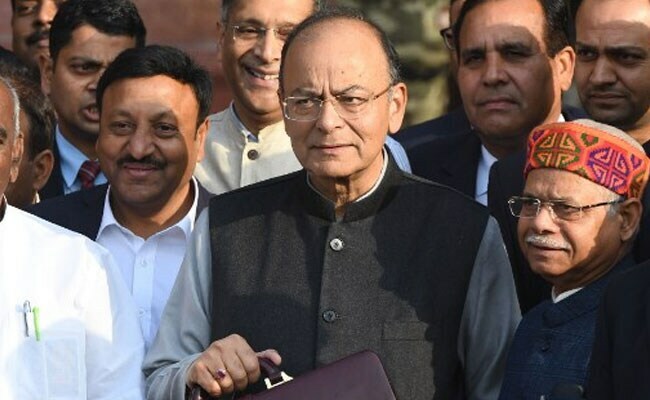 The sports ministry on Thursday received a hike of Rs 258.2 crore in the union budget for 2018-19, presented by finance minister Arun Jaitley in the Parliament here, reports news agency PTI. Mr Jaitley allocated a total of Rs 2196.36 crore for the sports ministry, compared to 1938.16 crore earmarked last year. However, one distinct feature of this year's sports budget is the reduced funding allocated to the Sports Authority of India (SAI). SAI had received Rs 495.73 crore in the 2017-18 financial year 2017-18, but this year the allocation has been reduced to Rs 429.56 crore, a cut of Rs 66.17 crore. "The budget is on expected lines. Focus was on social, rural sector. To my mind, it is a realistic budget. 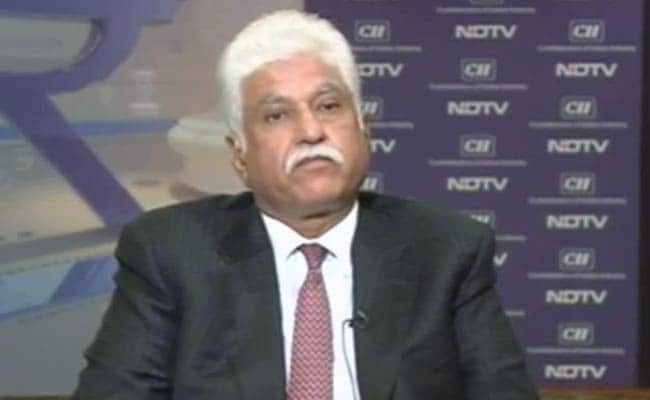 For the first time we are talking about increasing actual incomes by the MSP move," says Rakesh Bharti Mittal, Vice Chairman, Bharti Enterprises. 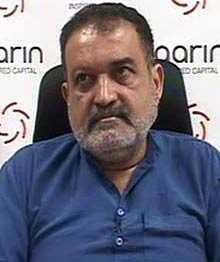 "What happened in Rajasthan is a manifestation of the rural distress in our economy. There are some good things. The healthcare scheme is a welcome program. But the devil is in the details. Needs to be seen how it is implemented," says senior Congress leader Milind Deora. "Earlier the opposition used to say not enough is being done for farmers, now they say too much is being done? 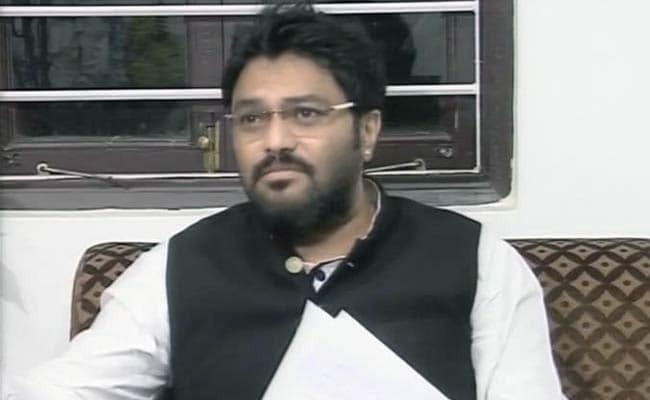 The intent has to be there," Union Minister Babul Supriyo tells NDTV. "If the middle class was looking at a raise in threshold from 2.5L to 3L, there is a reason to be disappointed. But doing that would have removed many out of the tax net and that is against the tax policy," said Mukesh Bhutani, senior tax expert. The Ministry of Drinking Water and Sanitation was today granted Rs 22,356.60 crore, registering an increase of 11.72 per cent, in the Union Budget 2018-19, reports PTI. The ministry was allocated Rs 20,010.79 crore in the previous budget. Under the centrally sponsored schemes, the National Rural Drinking Water Mission has got a boost of 15.7 per cent. The scheme was allocated an amount of Rs 7,000 crore, compared to Rs 6,050 crore last year. "Earlier budget was about pandering to every class of people, that is gone. It's a policy document for a $2.5 trillion economy. It focuses on inclusion and not just growth," said Shaurya Doval, Director, Indian Foundation. 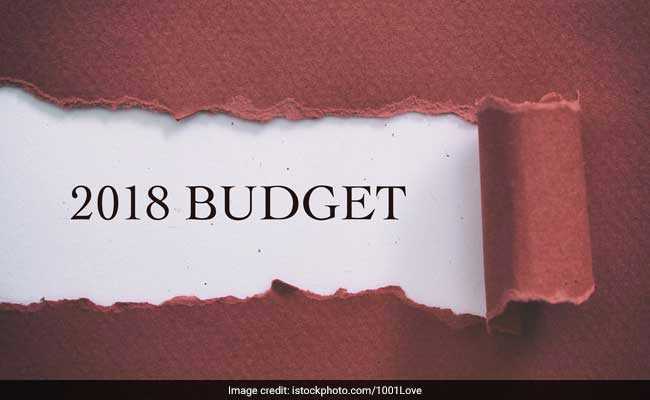 About Rs 192 crore has been allocated to the Ministry of Personnel in the 2018-19 Budget for providing domestic and foreign training to bureaucrats and augmenting necessary infrastructure, reports PTI. 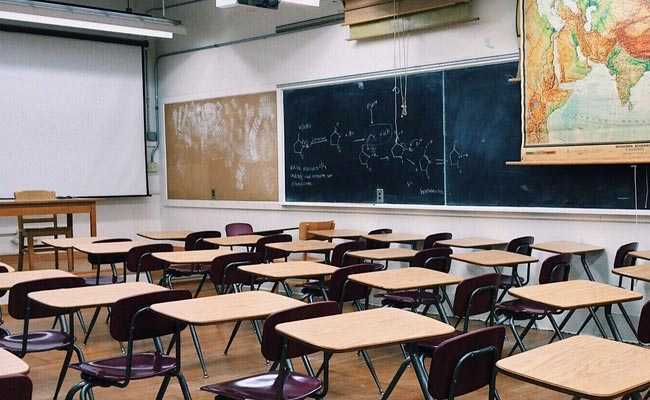 Of the allocation, Rs 75.32 crore has been earmarked for the ministry to meet establishment-related expenditure of Delhi-based Institute of Secretariat Training and Management (ISTM) and Lal Bahadur Shastri National Academy of Administration (LBSNAA), Mussoorie. Both the ISTM and LBSNAA conduct several training programmes to equip officers of the Indian Administrative Service (IAS) and all other levels of secretarial functionaries with exposure to rules, regulations and aptitude. "Great thing is that this budget is amazingly prudent. Expenditure has been calibrated. What is regrettable, while tax revenues have been budgeted, non-tax revenues have not been, resulting in a revenue deficit," said Rathin Roy, member of Prime Minister's Economic Advisory Council. Describing the Budget 2018 presented by Union Finance Minister Arun Jaitley as a "big bluff" and "anti-people", West Bengal Chief Minister Mamata Banerjee on Thursday said she found it "very disappointing", reports IANS. "The BJP led government in Delhi is unfit to govern. It is a budget which is neither here, nor there. There is nothing new," she told reporters here. 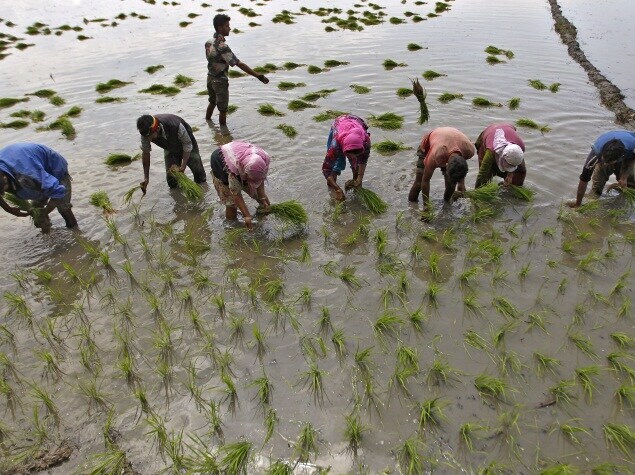 Questioning the proposals for farmers mentioned in the budget, Ms Banerjee said "There is no mechanism. Has any fund been allotted for farmers? No. This budget is a big bluff, a super flop. It is anti-people. I personally found it very disappointing." Most budgets over the last 10-15 years have come and gone. 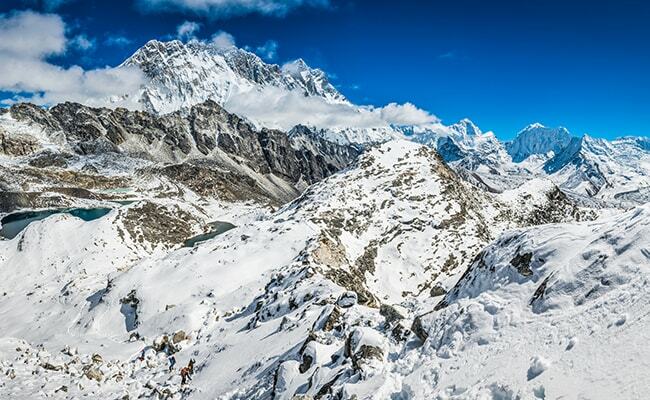 And there's little to get the adrenaline flowing and nothing memorable. This budget could have been the same - it's an election budget - promising a lot and trying to make good to farmers - the weakest link among the voters happy. However there is one big aha moment in this budget. And that is a massive health insurance policy for the poorest sections of our country. This - if it works - is memorable. And a game changer in the lives of the poor. Thank you for joining us - we plan to look at the main points in this budget and what each policy means to every one of us and to the country. The national banking lobby IBA said the Budget has done a reasonable job of balancing populist imperatives and growth orientation. "Increased outlays on social objectives, including education, affordable housing, healthcare it has ticked all the right boxes in the pre-election year," IBA said. ICICI Bank managing director Chanda Kochhar termed the Budget as a "responsible" one which balances the priorities, and also "holistic". "It's a very responsible balancing act which focuses on fiscal discipline on one hand and on the other, really looks taking into account all the social needs, infrastructure needs, growth and development needs of the economy," she said. She also welcomed the broader way of looking at the rural economy beyond the farm sector to include aspects like fisheries, agri-processing and rural infrastructure. State Bank chairman Rajnish Kumar said the Budget is "very comprehensive" with key measures that will have a positive impact on various segments, including tenant farmers, 10 crore poor families and senior citizens. "We believe all these measures will augur well for a meaningful growth in FY19," he said, and listed specific proposals like national gold policy, integrating trade receivables platform with GSTN and maintaining government borrowings at the same level. Textile players today lauded the Budget proposals of increasing financial outlay under the comprehensive textile sector package for apparel and made-ups from Rs 6,000 crore to Rs 7,148 crore, which will help promote production and exports. Welcoming the Budget, Ujwal Lahoti, chairman of The Cotton Textiles Export Promotion Council (Texprocil) said, "the Budget is pragmatic, growth-oriented and all inclusive". The increased the financial outlay under the comprehensive textile sector package for apparel and made ups from Rs 6,000 crore to Rs 7,148 crore. This will promote exports and production in these two labour intensive sectors, Mr Lahoti added. Even as Finance Minister Arun Jaitley raised concerns over rising air pollution in his Budget speech, not a single extra paisa was granted to the Union Environment Ministry for this fiscal, while the funds for pollution abatement were slashed, reports news agency IANS. The Environment Ministry is proposed to be allocated Rs 2,675.42 crore in the 2018-19 Union Budget, the same as last year. For year 2018-19, the government however seems more focused on tree-plantation drive, the sector that saw the biggest shoot in terms of funds allocation for a single programme. This Budget feels like a step much further back than expected. Every aspect of Indira Gandhi-era economics was on the agenda this time: Garibi Hatao; import substitution; protectionism; unstinted borrowing; questionable fiscal numbers; tax the rich; pages of tinkering with tax rates; dark warnings about chasing black money. 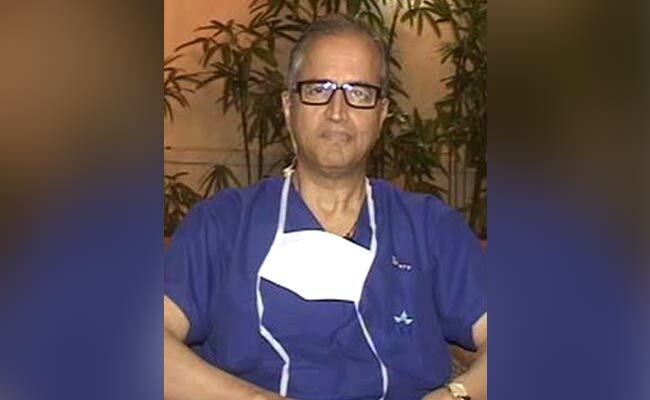 Dr Devi Shetty: Today, private hospitals treat who can only afford them. With this scheme, even the poor will be able to do so. Even if private hospitals allocate 20 per cent of their beds at a lower rate for this scheme, the job is done. My estimate is it will cost Rs 10,000-12,000 crore a year. Some money can come from the premium of (insurance scheme) members. Dr Devi Shetty (Chairman, Narayana Hrudayalaya): I have been waiting for this budget for 30 years. What they have announced (health scheme) is perfectly doable as a self-funding scheme. It will require a lot of money but not more than what the government can spend without losing sleep. 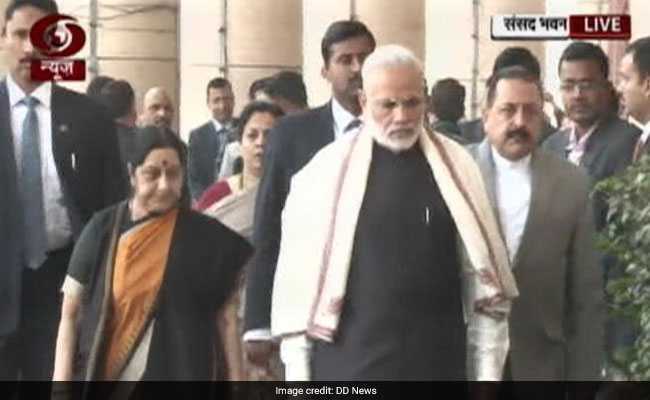 The External Affairs Ministry has been given Rs 15,011 crore in the Union Budget 2018, an increase of Rs 213 crore from last year, with Nepal getting Rs 650 crore for projects, almost 75 per cent more than what was allocated to the country in the current fiscal at Rs 375 crore. The allocation comes amid External Affairs Minister Sushma Swaraj's visit to Nepal. 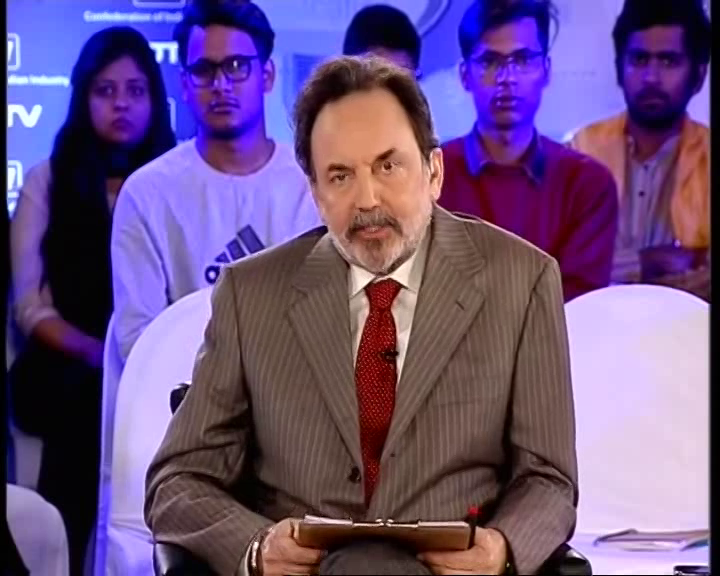 Hasmukh Adhia: Employment is always a function of GDP (Gross Domestic Product) growth, which is a function of demand creation and that will go up with rural development. 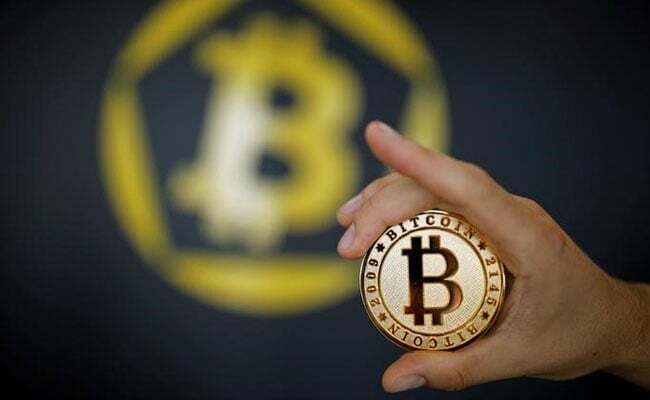 With Finance Minister Arun Jaitley in his Budget speech saying India will move to stamp out use of cryptocurrencies, which it considers illegal, it could trigger "panic selling" in cryptocurrencies in India, said Amit Maheshwari, partner at tax consultants Ashok Maheshwary and Associates, news agency Reuters reported. 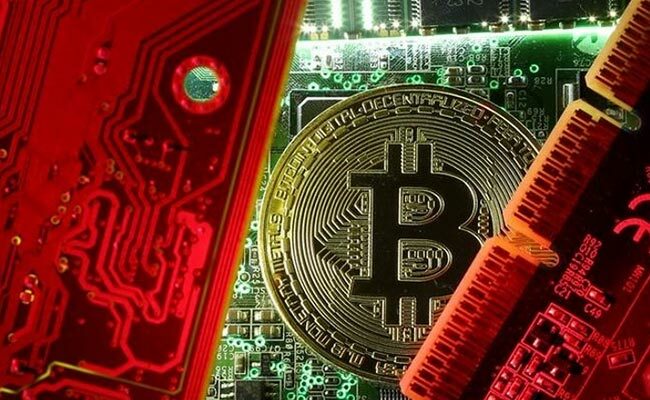 Last month, income tax authorities said they sent notices to tens of thousands of people dealing in cryptocurrency such as Bitcoin after a nationwide survey revealed transactions of more than $3.5 billion over a 17-month period. Hasmukh Adhia (Finance Secretary): GST (Goods and Services Tax) has settled down easier than we expected. In other countries, it has taken up to two years. One reason is the GST Council has been very active to address issues. Hasmukh Adhia (Finance Secretary): The message we wanted to give was when it came to helping the rural economy, we will not skimp on expenditure. When you insure a large group of people, the premiums come down. We can go for an insurance model or trust model. It will have a 60:40 sharing with states. It will combine with existing scheme of states. The allocation in the budget (for the health scheme) is a token provision. It will take at least six months to roll out. 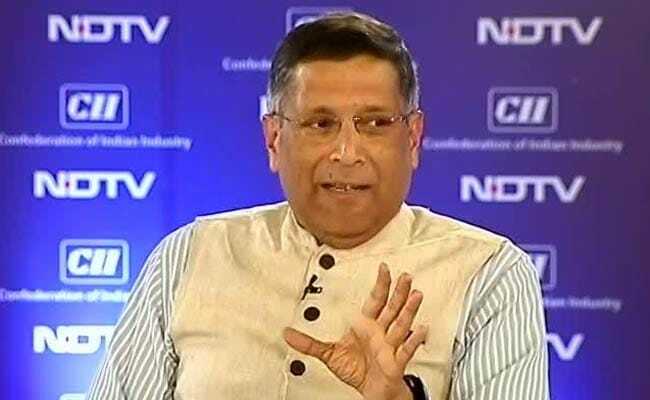 Arvind Subramanian: There are a lot of points in play this year which, if they pan out, will contribute a lot to growth and employment generation. Subhash Chandra Garg (Economic Affairs Secretary): The working so far is that if the centre shares it (cost of healthcare programme) in a 60:40 ratio with states, the healthcare scheme could cost us Rs 4,000-5,000 crore. Indian bonds slumped today after the government set a slightly wider-than-expected budget deficit target for the next fiscal year, while shares clawed back earlier bigger losses as investors welcomed spending in key areas of the slowing economy, news agency Reuters reported. But analysts said the falls in bonds may not be sustained in the near term given the widening in the deficit was not as large as some investors had feared. 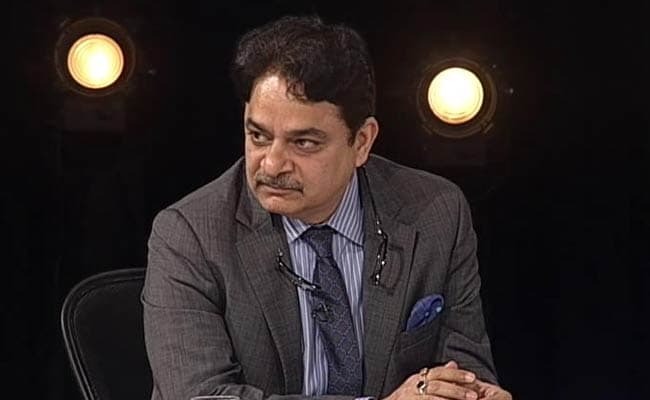 Sushil Chandra (Chairman, Central Board of Direct Taxes): Salaried taxpayers and pensioners need no documents or bills to claim Rs 40,000 standard income tax deduction on travel and medical expenses. 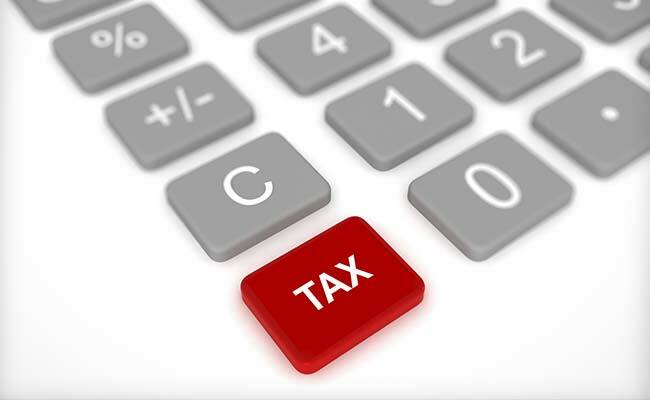 The Income Tax Department has sufficient technology to check tax evasion and black money. P Chidambaram: I don't see an outlay for the health scheme anywhere. It is not named under any scheme (in the Union Budget 2018). P Chidambaram (former Finance Minister): In the last four years, the state of the farmer hasn't improved one bit, the Economic Survey admits this. I don't see anything in the Budget that will increase real income of farmers immediately. I also don't see how they will double farm income by 2022 when it has remained stagnant for four years. Maybe, the ministers are focusing on agriculture, but the Budget is not. 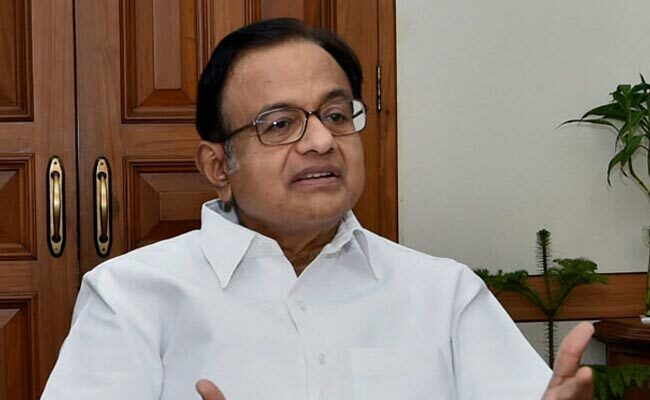 P Chidambaram (former Finance Minister): In the last four years, the state of the farmer hasn't improved one bit, the Economic Survey admits this. Amit Shah: By 2022, electricity will be available to all homes. Ayushman Bharat (new health insurance scheme) is a new vision laid out by PM Modi under his new India drive. This scheme is already becoming famous as Namocare. Amit Shah (BJP President): The Budget takes development to the poorest and most underprivileged classes. It is a huge step towards realising PM (Narendra Modi's) goal of doubling farmers' income by 2022. The MSP (Minimum Support Price) will be 1.5 times of input cost. For the first time since independence, something like this has been done. Onion and potatoes often caused a lot of stress in the farm sector, and that has been addressed. Institutional credit to agriculture has been raised to Rs 11 lakh crore. The BJP welcomes it. Arun Jaitley: Last year, the disinvestment target was Rs 72,000 crore. It was later revised to Rs 1 lakh crore, so in the normal course of events, it's closer to what it should be. Arvind Subramanian (Chief Economic Adviser): Cess will have virtually no inflationary effect, it converts an indirect tax to a direct tax. Hasmukh Adhia (Finance Secretary): The shortfall from GST (Goods and Services Tax) collection this year is Rs 50,000 crore. This is the first time the contribution of salaried class has been singled out, with 2.5 crore people getting standard deduction of Rs 40,000. Senior citizens have been given additional avenues of investment. All businesses up to Rs 250 crore turnover, a key part of the middle class, will now pay 5 er cent less tax. Arun Jaitley: We have been debating about salaried members of the legislative body. All conceded that parliamentarians had important functions and bear a large expenditure. But it was a class that set its own salary, and so was facing criticism. So the decision was taken to link (the hike) to inflation. Arun Jaitley: We announced tax relief and investment benefits to senior citizens as well. As the country progresses, a social security net has to be created. The resource needed to build that net is a 1 per cent surcharge. The burden is limited but the benefits are many. Arun Jaitley: As far as taxation relief is concerned, there are three facets. One, it's not easy to reduce corporate tax rate in one go. That's why we focused on SMEs (small and medium enterprises) this time. Bringing back the standard deduction will also help the salaried class. Arun Jaitley: While looking to priorities on expenditure, we looked at areas which needed the maximum support. Keeping this in view, the announcements on the rural sector were made. The other priority was to help those economically weak. The government has always tried to help this section of people. The mega health scheme is a huge scheme. Arun Jaitley: We have tried to maintain the fiscal deficit targets. This year there were series of circumstances. One factor was we are getting GST revenue for one month less. Another reason was a set of structural reforms had their own impact. We covered a lot through direct tax revenue and disinvestment but a small gap was left behind. 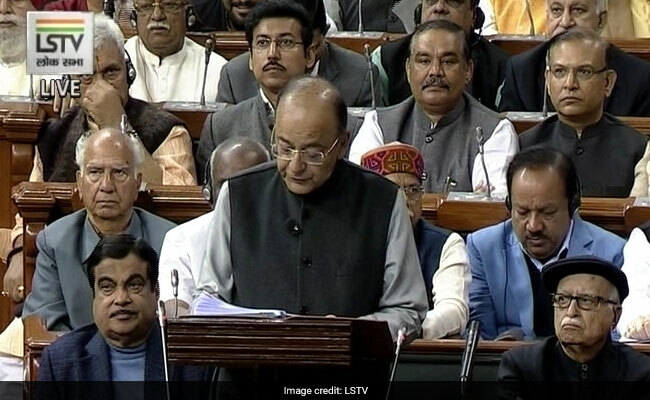 "The budget keeps in view the requirement and needs of the economy," Finance Minister Arun Jaitley told reporters hours after his Union Budget 2018 speech in parliament. 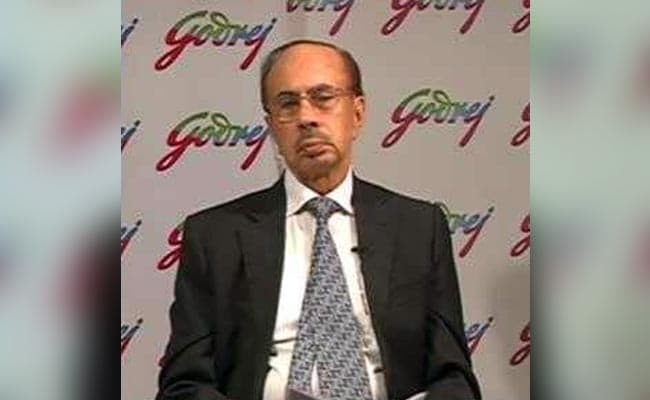 Adi Godrej (Chairman, Godrej Group): "Some part of the Budget were good, some were disappointing. I was really disappointed that corporate tax wasn't reduced. But the announcements in agriculture sector can add a lot of value and help raise consumption." Rajiv Kumar (NITI Aayog Vice Chairman): "It is indeed a positive budget... Not only did the Finance Minister (in his Budget speech) say that the Minimum Support Price for kharif crops would be 1.5 times the input cost, but he also talked about cluster development, linking farmer with the market and getting them fair price for their produce. He also focused on irrigation and rural infrastructure." 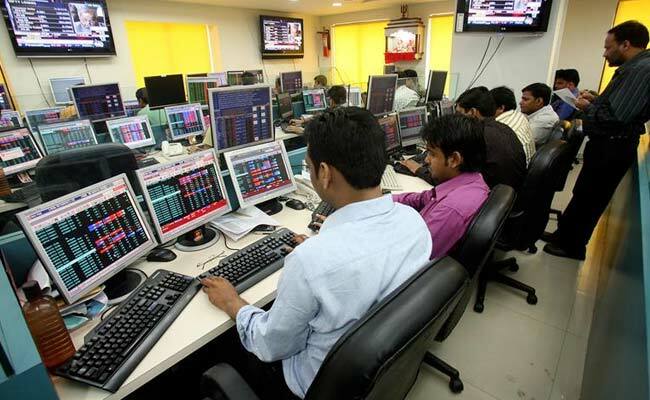 The markets ended lower on Budget day with the Sensex falling 58 points to 35,906; Nifty settled at 11,016. The Sensex had started falling while Finance Minister Arun Jaitley was speaking about the farm sector in his Union Budget 2018 speech just after 11 am. It later rose and settled in the green territory as the Budget did not appear to disrupt the industry, except for upward revision of fiscal deficit from 3.2 to 3.3 per cent of the Gross Domestic Product (GDP). 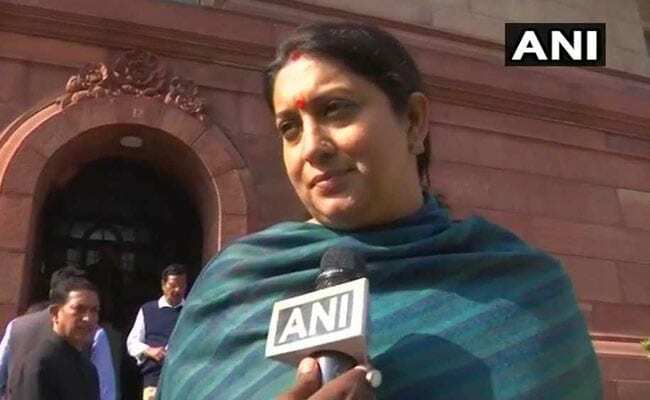 Smriti Irani (Minister of Textiles and Information and Broadcasting): I want to congratulate Prime Minister Narendra Modi on announcing the world's biggest national health protection scheme. This Budget is for the development of the poor, for farmers and increasing their income, senior citizens and women. I thank PM Modi and Finance Minister Arun Jaitley for allocating Rs 7,148 crore for textiles.. it will will stimulate growth in the sector. Finance Minister Arun Jaitley to state-run broadcaster Doordarshan: ObamaCare might not be successful but 'ModiCare' will be. A card will be issued to each family with 5 lakh top-up and it can be redeemed at any hospital. Allocation for defence in the Union Budget 2018 is up 7.81% with Rs 2,95,511.41 crore earmarked for the armed forces. This accounts for 12.10% of the total government expenditure in the next fiscal year. 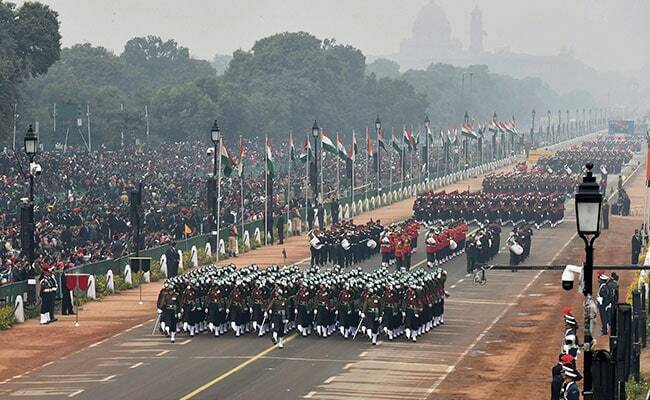 For defence pensions, Rs 1,08,853.30 crore has been provided, which is 26.6% above the Budget estimates of the current fiscal at Rs 85,740 crore and 14.26% over the revised estimates of the current fiscal at 95,000 crore. - The lukewarm response to the Budget shows how disappointing it was. Heard nothing about how we will have more jobs. The healthcare move is something we will approve of. But Mr Jaitley carefully avoided outlining the outlay for the scheme. Implementation will be key. Ajay Singh (CEO, SpiceJet): Capacity increase planned is more than a five-fold increase. The ambition the Finance Minister and the Prime Minister have laid is clearly to be the largest aviation market in the world. 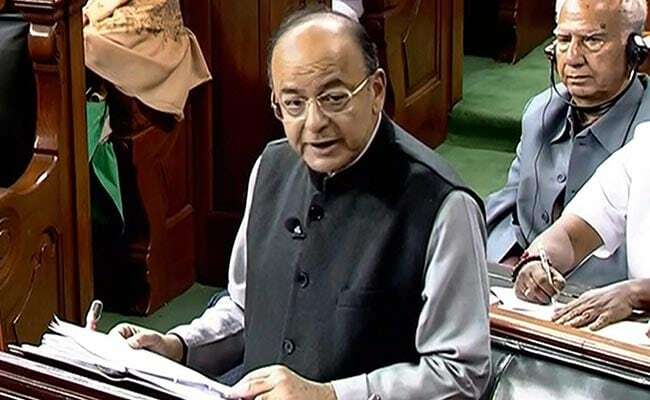 Finance Minister Arun Jaitley has tabled the Union Budget 2019 in the Rajya Sabha. 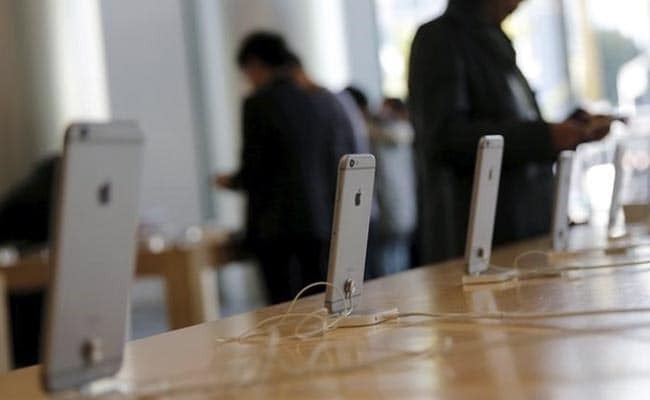 The government proposes to increase customs duty on mobile phone parts from 15 per cent to 20 per cent. The move is likely to create local jobs in electronics manufacturing since foreign firms will find it expensive to export parts to India. 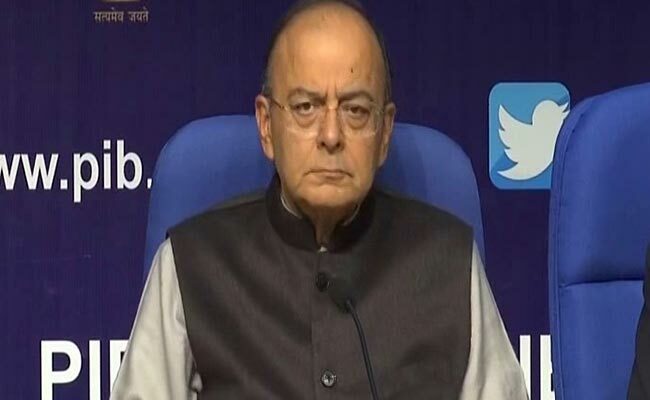 Finance Minister Arun Jaitley today said all crypto currencies, which include bitcoins, are illegal and the government will take all measures to eliminate their use. "The government does not consider crypto currencies as legal tender or coin," he said. The Union Budget 2018 is in line with the government's fiscal consolidation path, a Moody's analyst said, adding that it reinforced the credit ratings agency's recent rating upgrade for the country. Most of the spending announced seemed to be on "productive investments" rather than one-time handouts, Joy Rankothge, Vice President of Moody's Investors Service told news agency Reuters. Moody's rates India at "Baa2" with a "stable" outlook. The Union Budget 2018 is in line with the government's fiscal consolidation path, a Moody's analyst said, adding that it reinforced the credit ratings agency's recent rating upgrade for the country. Most of the spending announced seemed to be on "productive investments" rather than one-time handouts, Joy Rankothge, Vice President of Moody's Investors Service told news agency Reuters. India's benchmark 10-year bonds slumped today after the government set a higher-than-expected fiscal deficit target for the year starting in April. The yield for the benchmark 10-year bond rose 9 basis points to 7.50 per cent after the deficit forecast. 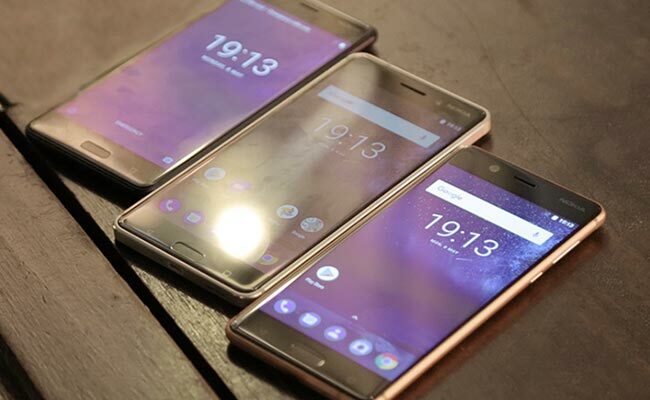 It had closed at 7.43 per cent on Wednesday. - This Budget strengthens the expectations and aspirations of 1.25 billion people. - It is pro farmers, businesses and the common man. - Ease of living a focus big along with ease of doing business. - These measures will open new means of employment in rural areas. - I congratulate the Finance Minister for the decision regarding MSP (minimum support price). I am sure it will help farmers tremendously. - The 'Gobar Dhan' scheme will also help to keep the village clean, as well as increase farmers' income. - The establishment of 24 new medical colleges will help the youth to pursue medical studies. Our endeavor is to have at least one medical college in three parliamentary areas in the country. - For better ease of living, infrastructure is very important. 6 lakh crore allotted for 'next generation' infrastructure. This is 1 lakh crore more than last year. - I congratulate the Finance Minister and his team for a Budget that ensures ease of living and strengthens the foundation of a new India. 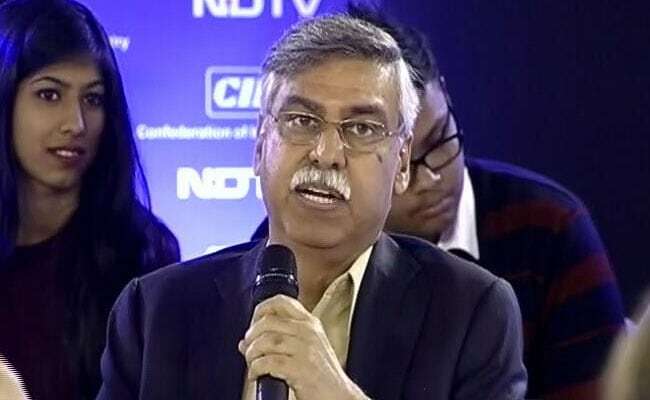 Sunil Kant Munjal (Chairman, Hero Enterprise): Happy to see a move to address the needs of the elderly. Besides being a country with a large number of young people, we are also becoming a country with a rising population of old people. The key is implementation. Sujan Hajra (Chief Economist, Anand Rathi Securities, Mumbai): We were expecting (fiscal deficit of) 3.4 per cent for the current year and 3.2 per cent for the next year, and these announcements are slightly higher than expected. This is slightly negative for bond markets. 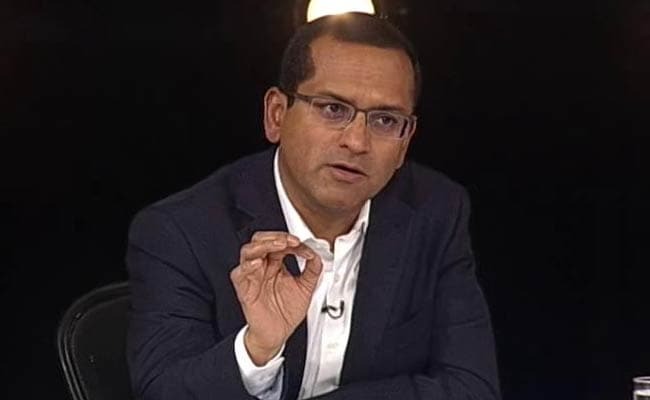 Shilan Shah, (Economist, Capital Economics, Singapore): It was no surprise that they relaxed the deficit targets. It looks like the BJP is aiming to shore up support among rural voters. These are quite trademark things ahead of an election. 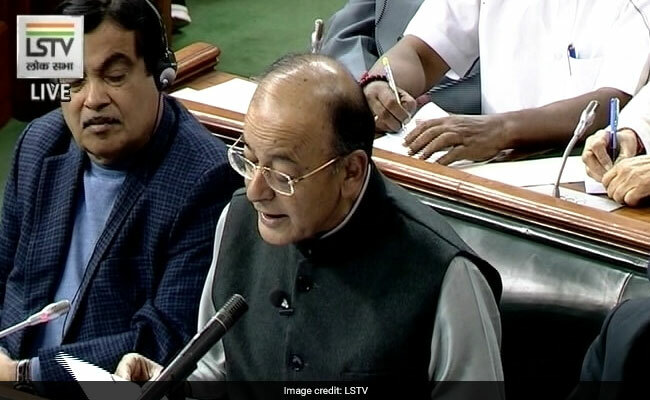 To secure India, the government is developing connectivity infrastructure in border areas, Finance Minister Arun Jaitley said in his Budget speech today. Work on Rohtang tunnel in Ladakh is complete and now the government will build a tunnel under Sela Pass in Arunachal Pradesh. Kiran Mazumdar-Shaw (Chairperson, Biocon): Big takeaway was the healthcare scheme (but) the devil is in the detail. How the finances of it will work will need to be looked at. The move to turn district hospitals into medical colleges is an interesting proposition. Dr Naresh Trehan (Chairman and Managing Director, Medanta): It was a much bolder step than expected. Kudos to the Finance Minister. This is a huge opportunity to overhaul the entire health sector of the country. 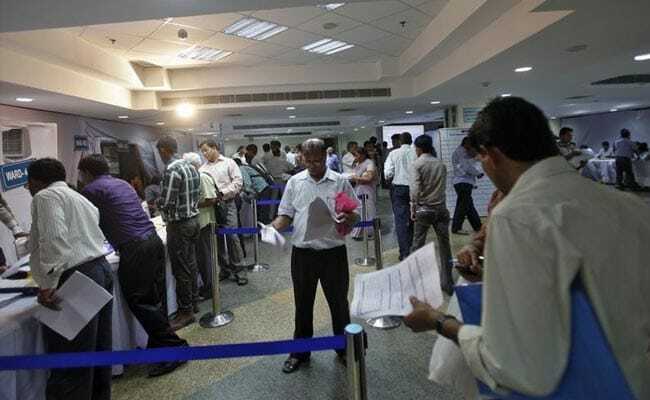 Bond yields in India's benchmark 10-year bond rose 4 basis points after the government said its fiscal deficit would be 3.3 per cent of the GDP in fiscal 2019, compared to a previously projected level of 3 per cent. As Finance Minister Arun Jaitley ends Budget speech, Sensex falls to 35,526.23, down 438.79 points. Arun Jaitley: Health and education cess increased to 4 per cent from 3 per cent. Arun Jaitley: The government proposes to tax long-term capital gains exceeding Rs 1 lakh at 10 per cent without indexation: The centre plans to introduce tax on distributed income by equity oriented mutual funds at 10 per cent. Arun Jaitley: For senior citizens, exemption of interest income on bank deposits has been raised to Rs 50,000. No change in income tax for individuals. Standard deduction of Rs 40,000 for salaried employees in lieu of transport and medical expenses. Arun Jaitley: No change in income tax for individuals. Standard deduction of Rs 40,000 for salaried employees in lieu of transport and medical expenses. Arun Jaitley: The government is proposing changes in salary revision of members of parliament (MPs). The law will provide automatic revision of salaries of MPs every five years, taking inflation into account. Arun Jaitley: Revised fiscal deficit target for 2017-18 is 3.5 per cent of GDP (Gross Domestic Product). The government is projecting 3.3 per cent for the next fiscal. Arun Jaitley: The AAI (Airports Authority of India) has proposed to expand airport capacity to 1 billion trips a year. Hawai chappal pehene wale nagrik bhi ab hawai jahaj mein udege (people in hawai chappals will be able to travel in aircraft). Arun Jaitley: Aadhaar has eased delivery of public services to the people. The government will also evolve a scheme to provide every individual enterprise with a unique ID. Arun Jaitley: 70 lakh formal jobs have been created this year. The government will contribute 12 per cent of wages as EPF (Employees' Provident Fund) in all sectors for the next three years. Contributions from women employees will be brought down from 12 per cent to 8 per cent. Arun Jaitley: Quality of education is still a cause for concern. The government will allocated Rs 1 lakh crore to improve education infrastructure over four years. We will strive to move from the blackboard to digital board as technology will have a great impact on education. 500 million individuals to get healthcare protection. Hospital expenses up to 5 lakh rupees a year per family. Huge step. Are they going to call this #ModiCare? Arun Jaitley: We are launching a flagship national health protection scheme to cover 10 crore poor and vulnerable families. 50 crore beneficiaries will get Rs 5 lakh insurance cover per family per year. It will be the world's largest state-funded healthcare programme. Arun Jaitley: The government's aim is that by 2022, every poor person should have a home. This year we are making 51 lakh affordable homes. The government will also establish a dedicated affordable housing fund. Arun Jaitley: Air Pollution in Delhi-NCR (National Capital Region) is a cause for concern. Special schemes will be implemented to support Haryana, Punjab, Uttar Pradesh and Delhi to address it. Subsidies will be given for farm machinery to manage crop residue. A Reuters poll this week showed most economists expect a 3.2 per cent fiscal deficit in 2018-19, as the government looks to increase investments in agriculture. Anything much beyond that, however, may draw a swift sell-off in the markets. For decades, the government's focus has remained production intensive. Our emphasis is on increasing their income. Prime Minister Narendra Modi has given a clarion call to double farmers income by 2022, the 75th year of India's independence. Finance Minister Arun Jaitley: When our government took over, India was considered one of the fragile five. We have successfully reversed this. India now stands among the fastest-growing economies in the world. All eyes are on whether the government will stay the course on containing the fiscal deficit, or whether it throws caution to the wind with a populist set of spending priorities. 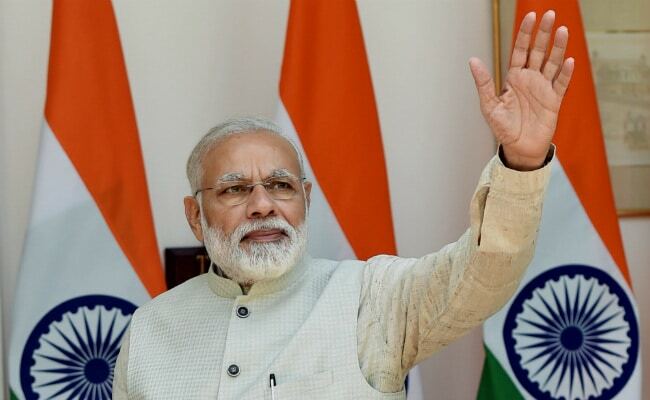 With falling farm incomes and a backlash following policy initiatives that have dented growth, Prime Minister Narendra Modi will be aiming to woo rural voters and small business owners in the last full-budget before the general elections in May 2019. Farmers are hoping for subsidies for building cold storage to avoid wastage of perishable crops. They want to know whether the government would set up a fund to guarantee credit to encourage investment. The government is widely expected to increase spending to ensure growth recaptures momentum. 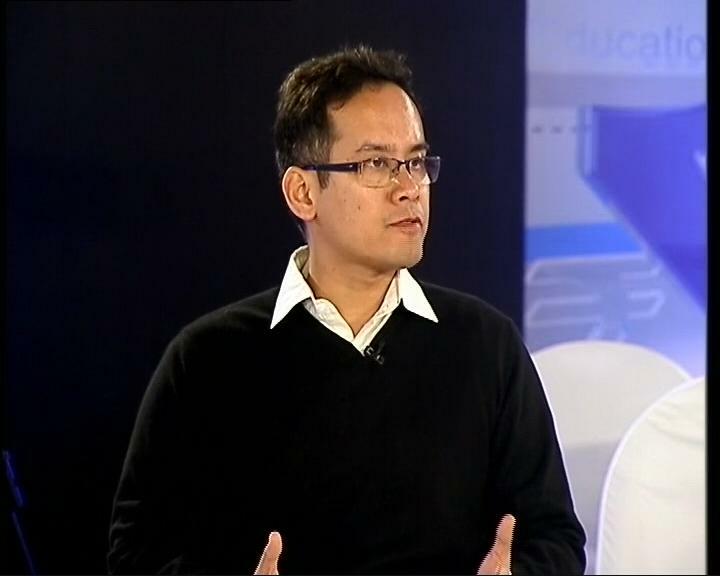 Gaurav Gogoi (Lok Sabha MP, Congress): I really do not expect much from the government in terms of fiscal sense. I think in election year, they will count on politics of polarisation and fear. The government has to focus on two big crises: jobs and agriculture. 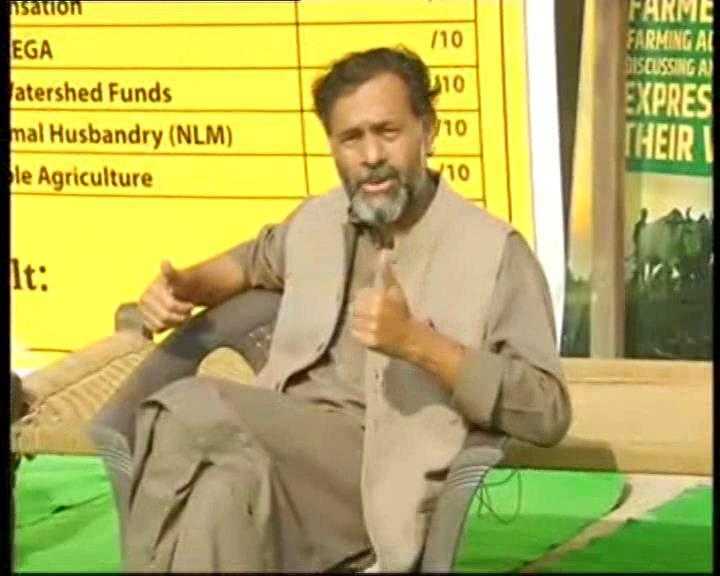 Mohandas Pai: This Budget should focus on farmers, infrastructure, health and a tax cut for the corporate sector. Service sector tax rate should be brought down to 25% from 30. Manufacturing is at 28%. 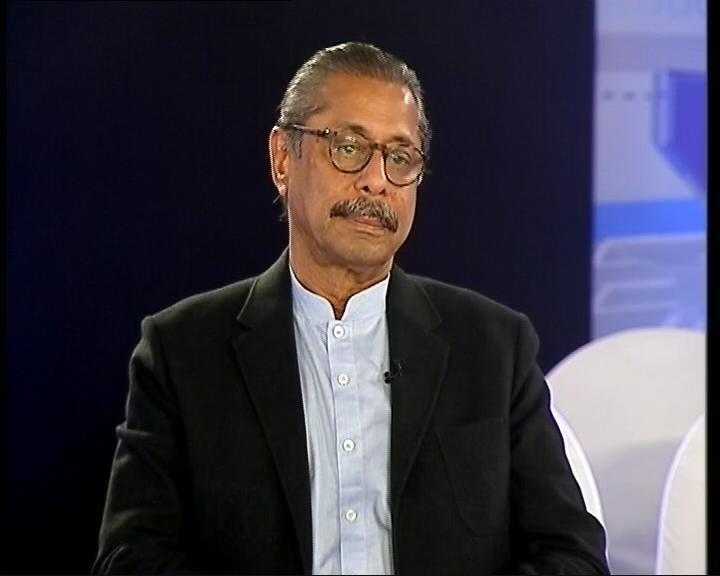 Dr Naresh Trehan (Chairman & Managing Director, Medanta Heart Institute): The government needs to align programmes and increase healthcare coverage. There will be instant relief if the right announcements are made today. Yogendra Yadav: We are monitoring the Budget here on behalf of the farmers. We have a mark-sheet for the Finance Minister that will tell you how he does. Assembly polls are due in eight states, including three ruled by the BJP, before the general election in 2019. Finance Minister Arun Jaitley had emphasised that the agriculture sector would be the top priority for the government in the Union Budget 2018 to address farmer distress ahead of the elections. The budget is expected to focus on farmers, the rural poor and small businesses. 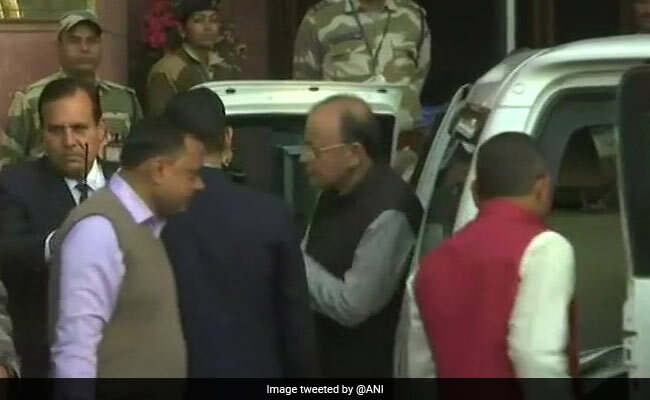 Finance Minister Arun Jaitley arrives at the Ministry of Finance. Mr Jaitley will present the Union Budget 2018 at 11 am in Parliament today. This will be the last full-year Budget before the 2019 general elections. Before that, elections are due in eight states this year and the Budget 2018 is expected to focus on farmers, the rural poor and small businesses. The stock markets have been jittery ahead of the Budget day. 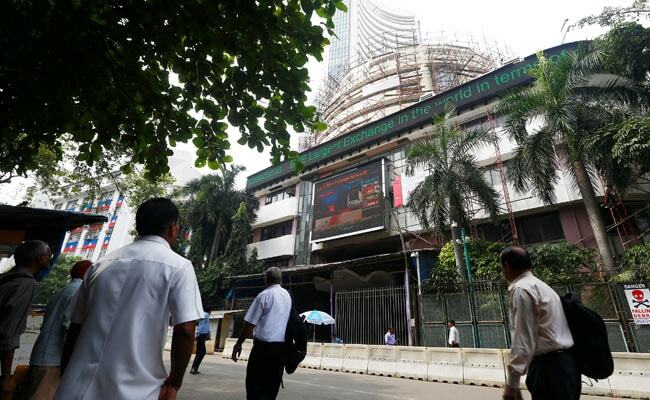 The Bombay Stock Exchange (BSE) and National Stock Exchange benchmark indices, Sensex and Nifty respectively, dropped marginally on Wednesday. The BSE Sensex fell 69 points to close at 35,965 while the NSE Nifty shed 22 points to settle at 11,028 points. Check out latest updates on market movement today. Capital budget consists of capital receipts and payments. It includes investments in shares, loans and advances granted by central government to state governments, government companies, corporations and other parties. Here's your quick guide to understanding 10 such basic terms you need to know before Finance Minister Arun Jaitley's Budget 2018 speech in Parliament today. According to Central Statistics Office data, the expansion in activities in 'agriculture, forestry and fishing' is likely to slow to 2.1 per cent in the current fiscal year from 4.9 per cent in the preceding year. Many analysts expect the government to announce measures to improve farm sector productivity and income. Finance Minister Arun Jaitley will at 11 am today present the Union Budget 2018 in Parliament. With this being the last full-year budget before the general elections due next year, all eyes will be on Mr Jaitley's Budget 2018 speech. The finance minister will outline the government's priorities for the next fiscal year (2018-19). 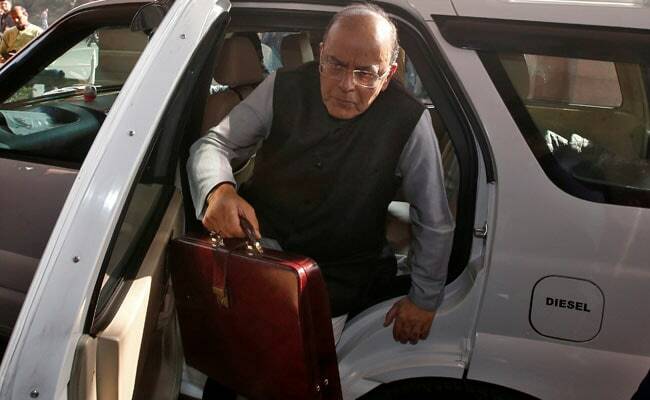 Finance Minister Arun Jaitley late on Wednesday gave final touches to the Union Budget 2018-19. 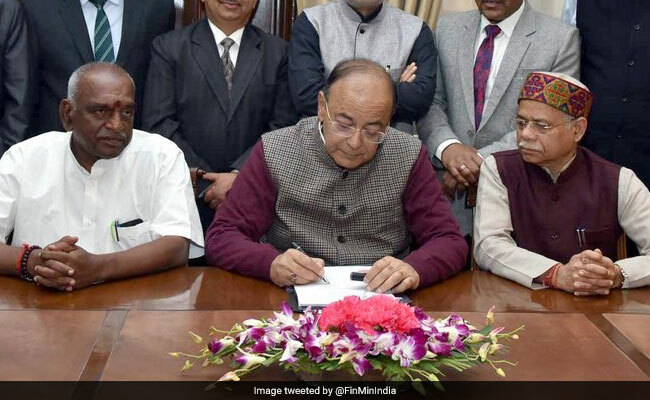 In the following picture, shared on microblogging site Twitter by the Ministry of Finance, Mr Jaitley is seen along with the budget team in his office in North Block. In Union Budget 2018, expectations are high that the finance minister will may raise the minimum exemption limit from the current level of Rs. 2.5 lakh. Multiple outdated deductions could also be replaced with a standard deduction to reduce the tax burden on salaried employees. Standard deduction allows for a flat deduction from income of a salaried individual towards expenses that would incur in relation to his or her employment. In Budget 2016-17, Finance Minister Arun Jaitley announced new measures to provide relief to small taxpayers, among other changes. The finance minister raised the deduction limit under Section 87A of the Income Tax Act from Rs. 2,000 to Rs. 5,000 per annum. Under Section 87A, taxpayers first reduce Rs. 2,000 from their total tax payable. This section applied to those with a total income of less than Rs. 5 lakh. Millions of taxpayers nationwide would be scurrying for the financial dictionaries to make sense of the jargon-laden budget speech. Nevertheless, it is very natural to find it cumbersome to comprehend some (or many) of the terms tossed at the nation during the much-awaited annual speech. Here are 10 things to know before you head the finance minister's Budget speech this year. In the Union Budget 2018, businesses will be watching price movement in raw material that could affect their supply chain and as a result, either raise or lower the retail value of their product, such as tobacco items. Citizens will be looking out for changes in income tax rules, and movement in prices of household items and commodities, especially under the shadow of Goods and Services Tax (GST), as Finance Minister Arun Jaitley presents the Union Budget 2018 at 11 am today. 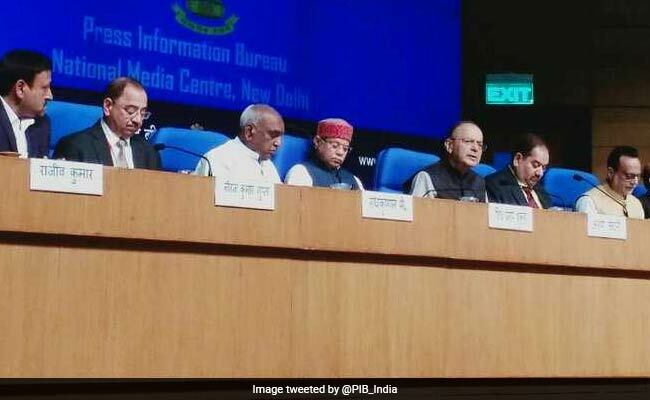 The government is counting on the new national tax GST - which it claims has stabilised now from the turmoil it saw just after it was launched in July last year - to harvest higher tax revenue in the fiscal ahead, as Finance Minister Arun Jaitley presents the Union Budget 2018 at 11 am today.